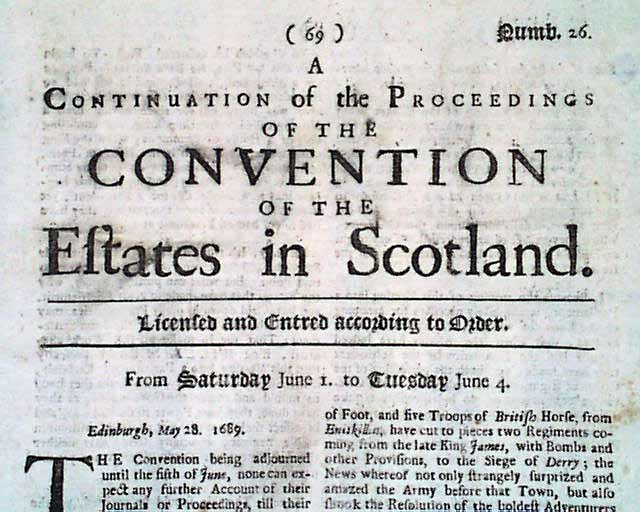 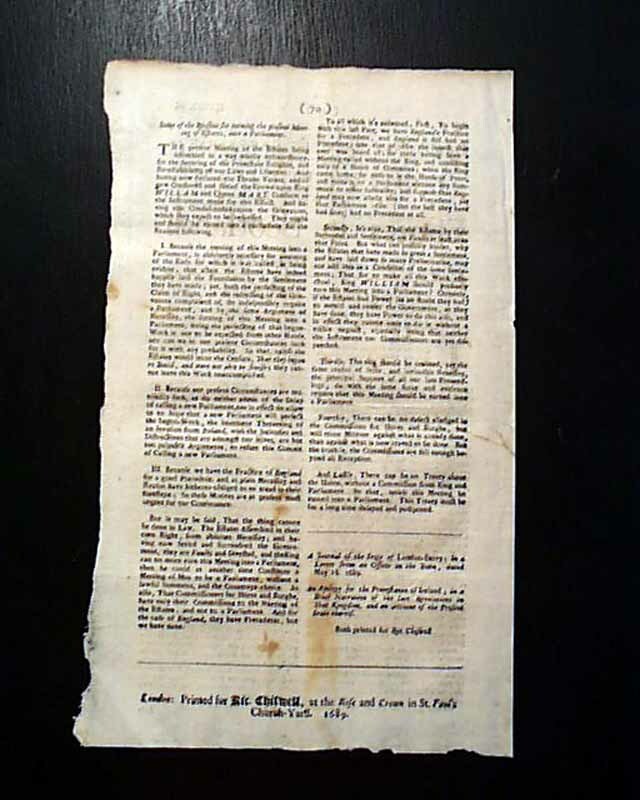 The year is printed in the dateline of the first report at the top of page 1 (see), as well as in the imprint at the bottom of the back page. 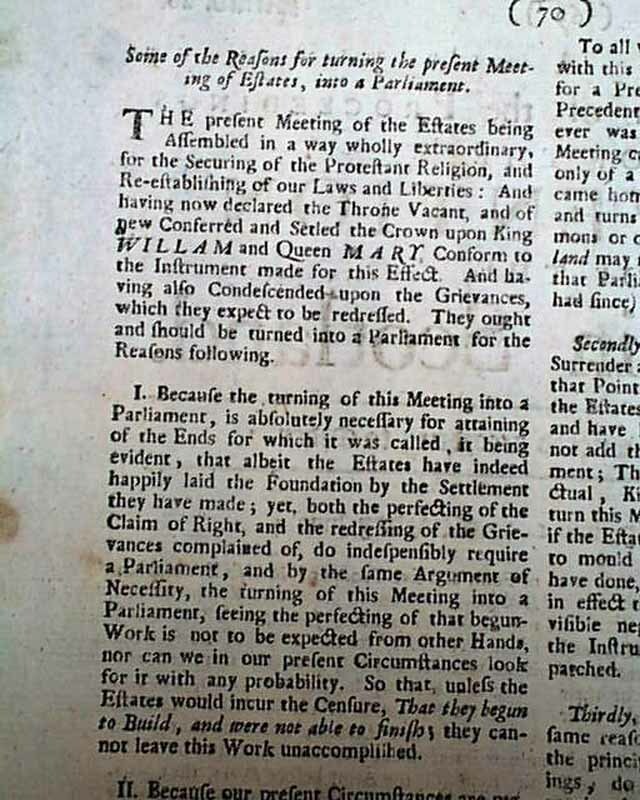 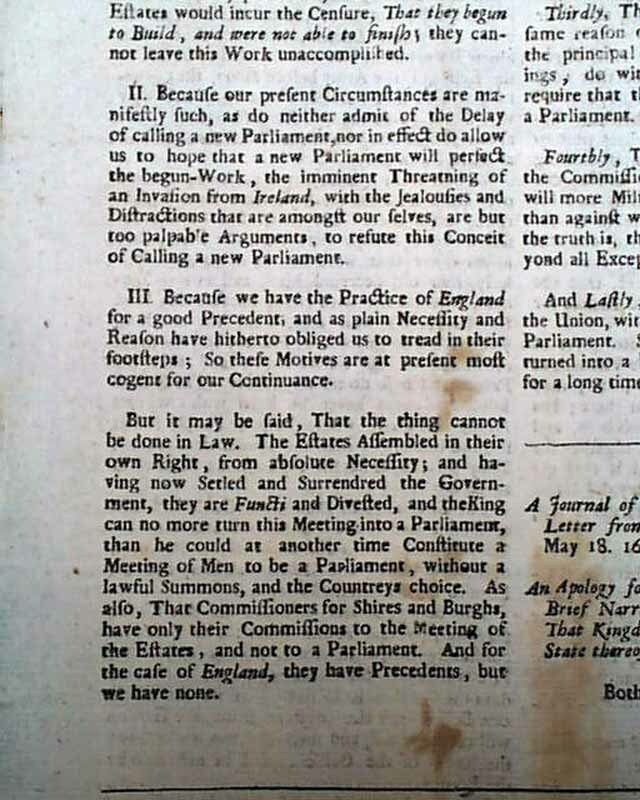 A very rare newspaper from England dealing primarily with Parliamentary affairs. 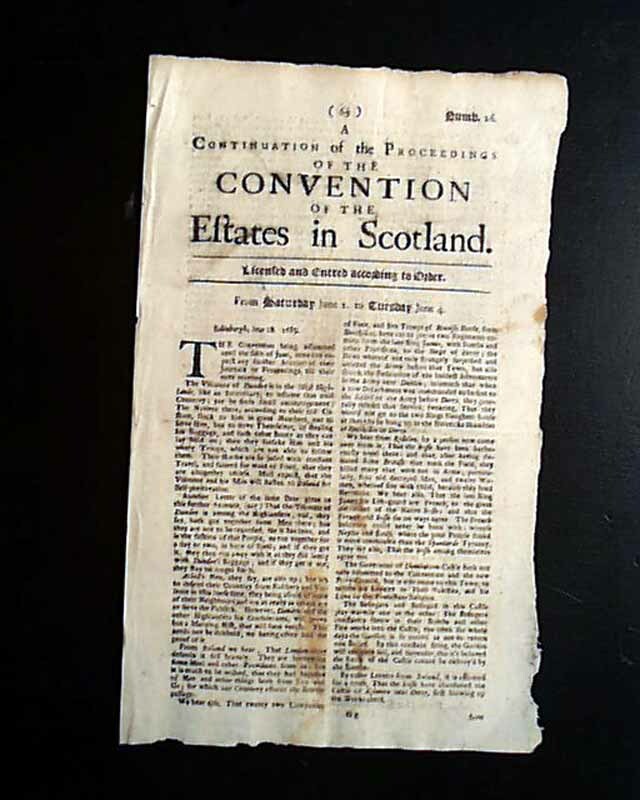 Most of the back page is taken up with: "Some of the Reasons for Turning the Present Meeting of Estates into a Parliament"
A single sheet issue with untrimmed margins, measures 7 by 11 3/4 inches, a few light stains to the front page, very nice condition.